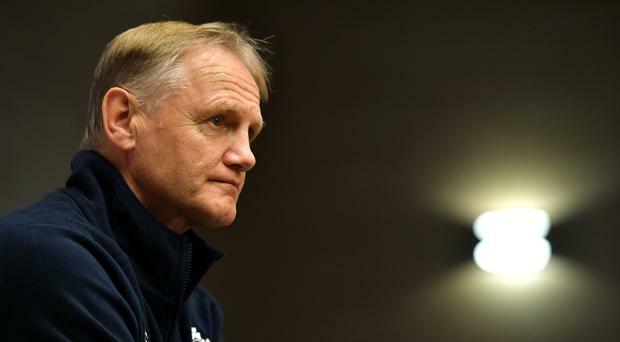 Irish rugby fans are still digesting the news after Joe Schmidt’s announcement that he will leave his post after next year’s World Cup. With three Six Nations titles, including last season’s Grand Slam victory behind him, in addition to two Heineken Cups and a European Challenge Cup and Pro 12 title apiece with Leinster, he will leave these shores as the most successful man to have coached in the country. The hope is that the clarity provided by this early announcement will be better for the players than what would have been persistent speculation in the build-up to the World Cup. Indeed, Schmidt will be aiming to leave on a high with another Six Nations to be won before his tilt at the biggest prize in the sport next Autumn in Japan. With Andy Farrell confirmed as his successor, will the structures Schmidt has out in place be strong enough to survive his departure and remain in place, as a trusted backroom staff member is promoted from within? Throughout the history of sport, there have been plenty of examples of similar announcements, some successful and some not so. We’ve taken a look at three of the biggest. 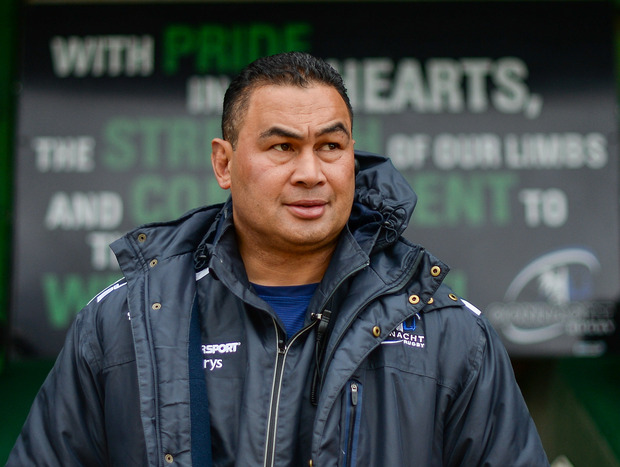 When Auckland native, Pat Lam was installed as Connacht coach ahead of the 2013/14 season, the westerners were considered the runt of the provincial litter in Irish rugby. They had qualified for the Heineken Cup the previous two years but that was only as a result of Leinster’s European successes opening up a fourth Irish spot. Neither campaign was a successful one and despite the progres Eric Elwood had made with the province, he departed at the end of the season to be replaced by Lam. A group stage win against French powerhouses, Toulouse, was a sign of things to come in his first season as the Kiwi set about rebuilding the province and establishing a bond between the team, the support and the broader community. While the restructuring of European competition meant that Connacht had to spend the next couple of seasons back competing in the second tier European Challenge Cup but Lam was making steady progress with the team reaching the quarter-finals in 2014/15 with Pro 12 wins against both Leinster and Munster on their way to a seventh place finish. With players the calibre of Bundee Aki and Tom McCartney on board, things were looking up. The following season saw the peak of his reign with a regular season second-place finish qualifying the team for the end of season play-offs. A semi-final victory over Glasgow Warriors set up a shot at three-time European Champions and Irish top dog Leinster at Murrayfield Stadium, Edinburgh on May 28th 2016. Despite their underdog status, Lam’s men dominated on the day, running out 20-10 winners to claim their first major honour. Needless to say, hopes were high for the following season, even after a sluggish start as the province attempted to come to terms with being champions. Just as results were picking up, Irish rugby was rocked by the sudden and tragic death of Munster coach and close friend to Lam, Anthony ‘Axel’ Foley. Having lost his Grandfather to heart problems when he was nine, the death of Foley impacted on Lam and, when big-spending Bristol approached him the following month, Lam made the decision to accept an offer that would secure the financial future of his family and agreed to take over the next season. With Lam’s planned departure confirmed on December 5, a season that had begun with so much optimism fizzled out with a Champions Cup group stage exit on points difference and an eighth place Pro 14 finish bringing a disappointing end to what had been a magical journey. The province has struggled to reach those heights again since with successor Kieran Keane only lasting a season before being replaced by current boss, Andy Friend. The world of football was stunned when, having just won his third Permier League title in a row, the Manchester United manager announced that he would be leaving his position when his contract expired at the end of the following season. The effect on the club was immediate with potential new signings unwilling to commit due to the uncertainty of who they would be playing for and with motivation in the existing squad questionable, the Red Devils found themselves as low as ninth place coming up to Christmas. While the damage had been done in the league where they eventually limped to third place behind double-winners Arsenal for their lowest finish since 1991. The announcement did galvanise then in the Champions League with a favourable draw seeing them into the semi-finals, only to fall short against Bayer Leverkusen. The U-turn was the trigger for a further period of sustained success with the club regaining the Premier League the following season with another five titles and a second Champions League in 2008 before he finally retired for good in 2013. When Ray Houghton famously stuck it in the England net at the Neckarstadion in Stuttgart back in Euro ‘88, it began the unravelling of that tournament for Bobby Robson. Further defeats to Russia and Holland followed with the team going home in disgrace after finishing pointless and bottom of their group. This was the trigger for an astonishing campaign of vilification by the British tabloid press. A friendly draw away to Saudi Arabia that November led to the following morning’s Daily Mirror splashing “GO! IN THE NAME OF ALLAH, GO!” across their back page. Despite recovering to go unbeaten throughout qualification for the 1990 World Cup in Italy, this press campaign ran unabated for the next two years and in the build-up to the finals, the FA chairman, Bert Millichip finally cracked, stating that Robson had to win the World Cup or his contract would not be renewed. A dignified man such as Robson was never going to accept that sort of ultimatum and he reacted by agreeing a deal to take over as PSV Eindhoven manager after the finals. This was the cue for further abuse as those who’d been screaming at him to leave then accused him of being unpatriotic for accepting a job abroad before the tournament. In fact, the Today newspaper’s description of him as a traitor led to Robson initiating legal proceedings. A repeat clash with Ireland two years on from the Euro defeat saw England’s tournament begin in slightly better fashion yet the one all draw wasn’t enough to sate the press pack as further criticism rained down. But England were a different proposition to two years before and a change to a sweeper system before their next game paid dividends with a creditable draw against European Champions Holland backed up by a win against Egypt to top the group. Knock out wins against Belgium and Cameroon followed as the country and belatedly the press got behind them and Robson was only denied a World Cup final appearance by the first of England’s run of peanlty shoot-out defeats. Despite a national clamour for him to stay, Robson kept his word to PSV and he went on to become one of the most successful managers on the continent, winning back-to-back Eredivisies before doing the same in the Portuguese league with Porto and a Spanish Cup and European Cup Winners Cup with Barcelona. Robson returned to England, taking his native Newcastle into the Champions League in the early 2000’s before taking up an FAI role as "international football consultant" during Steve Staunton’s ill-fated reign. England, in the meantime, appointed Graham Taylor as the vitriol that Robson had suffered at the hands of the tabloids became the template for every England failure until Gareth Southagte's unexpected run to this year's World Cup semi-final..